Is curd healthier than milk? Both milk and curd are rich in minerals and vitamins. Milk has more calcium than curd. Curd has more sodium and magnesium than milk. Love to drink that glass of warm milk or are you more of a curd only person? No matter which one you like more, you may still have wondered countless time if one is healthier than the other. Well, it’s hard to differentiate one from the other as milk and curd are very closely connected. Both of them are dairy products. While one is milk itself, other is a product of milk. These days you will be able to find several varieties of both milk and curd, ranging from low fat to milk varieties with different sugar levels. The benefits of milk and curd are countless but when it comes to choosing a winner among them, it becomes little difficult. So which of the two is healthier? Let’s find out. Since there are countless varieties of milk and curd available, their calorie content depends directly on the amount of sugar and fat they have. While around 250 ml of fat free milk contains around 90 calories and 9g of protein, a cup of fat free curd may have over 98 calories and 11 g of protein. Because curd contains more calories and more protein, curd is a heathier choice for you. 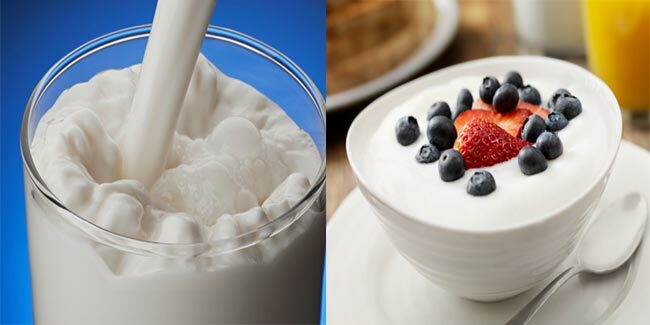 Both milk and curd are good sources of vitamin B-12 and vitamin A. A cup of fat free curd or milk contains around 8% vitamin-B12 and 2% vitamin A. Since the recommended daily intake of vitamin B-12 and vitamin A for adults are 2.4 mcg and around 1.3 mg respectively, both curd and milk are healthy for you as far as vitamin intake is concerned. Milk seems to be winning on this front as it contains more calcium than curd, however curd leads in some other crucial minerals. A cup of fat free curd has around 8% calcium, 15% sodium, 2% magnesium and 2% potassium. 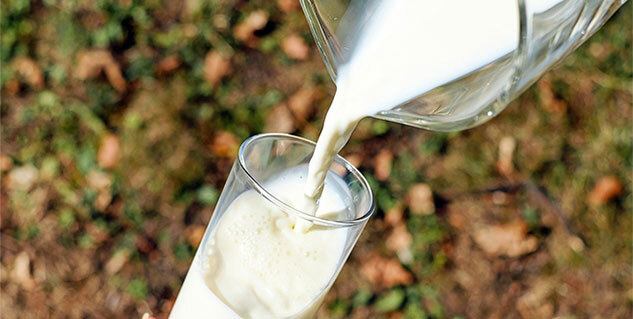 While a cup of fat free milk has around 12% calcium, 1% sodium, 2% magnesium and 4% potassium. Although, there is not much difference, however if we have to choose a clear winner here, it has to be curd. But instead of regular curd, you should go for fat free curd as it offers less calories and fat and almost the same amount of minerals and vitamins. Take around 250 ml of fat free curd every day to add these vitamins and mineral to your daily diet. While both curd and milk are healthy foods for almost anybody, there are certain situations when you should avoid curd. People suffering from bloating, constipation, arthritis, asthma, and lactose intolerance should avoid curd.